The Mercedes E-Class All-Terrain has made its Indian debut at Auto Expo 2018. 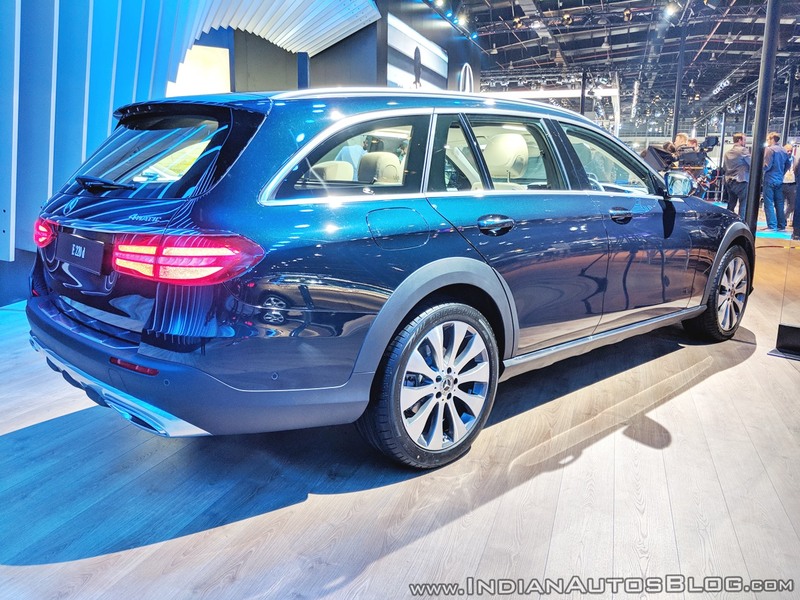 The Mercedes E-Class All-Terrain is a more off-road capable variant of the Mercedes E-Class Estate. Mercedes-Benz says that the Mercedes E-Class All-Terrain is the most versatile Mercedes E-Class ever. Tyres with a larger height/width ratio raise the height by 14 mm, and the Air Body Control multi-chamber air suspension’s normal level driving adds 15 mm more. In all, the Mercedes E-Class All-Terrain is 29 mm higher than the Mercedes E-Class Estate. The Mercedes E-Class All-Terrain has Dynamic Select with five drive modes as a standard feature. Unique to this variant, is the All-Terrain drive mode, which raises the air suspension by 20 mm. Thanks to the air suspension, the driver can select from three heights. There’s also an option to manually select the highest level with the level button on the centre console. The ground clearance of the jacked-up estate ranges anywhere from 121-156 mm. The Mercedes E-Class All-Terrain is distinguished from the Mercedes E-Class Estate with a more robust and aggressive exterior. It features an SUV-style two-fin front grille, unique three-part bumpers with the top part painted in body colour and the lower part in grained black plastic, black wheel arch covers, black side skirts with a chrome strip, skid plates electroplated in silver-chrome and exclusive 19-inch alloy wheels. The Mercedes E-Class All-Terrain is available internationally in E 220 d 4MATIC and E 350d 4MATIC models. In India, Mercedes-Benz will offer it in the E 220d 4MATIC model that has a 2.0-litre diesel engine (194 hp/400 Nm), the 9G-TRONIC 9-speed automatic transmission and the 4MATIC AWD system as standard. 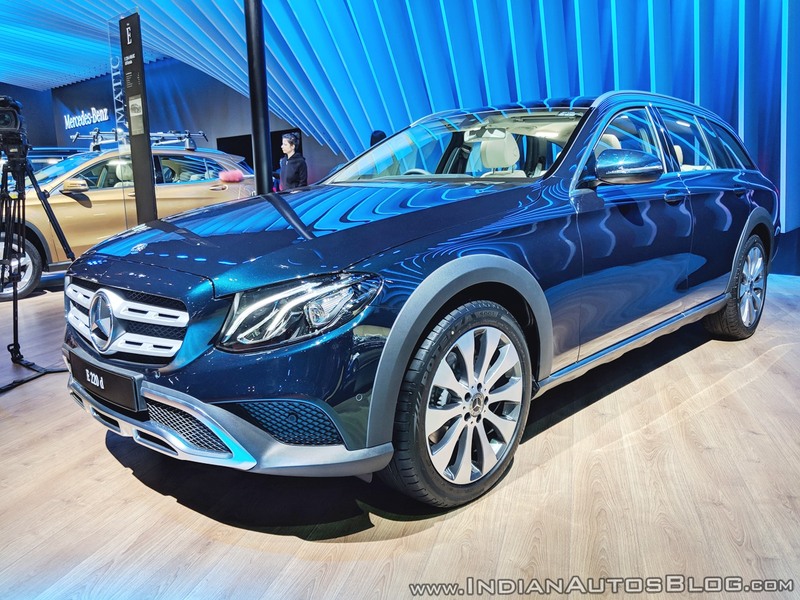 Mercedes-Benz has confirmed that the Indian launch of the Mercedes E-Class All-Terrain will take place later this year.